This article is about Python and Machine Learning and targets those users who wish to take advantage of Python. What can we do with python? What is Machine Learning and how python helps developers in machine learning? How easy/tough to play with Python and Machine Learning? Python has been used in many data science applications. It combines the power of general-purpose programming languages with the ease of use of domain-specific scripting languages like MATLAB or R.
Python has libraries for data loading, visualization, statistics, natural language processing, image processing, and more. This vast toolbox provides data scientists with a large array of general and special-purpose functionality. Machine learning and data analysis are fundamentally iterative processes, in which data drives the analysis. Python is capable of multi-threading and GPU processing just like other languages. Most of the data processing modules are Python Wrappers around C/C++ code. The phrase “wrapper” means that someone has already wrapped Python code over another language like wrapping any item inside with paper/cloth in real world example. So, when you have a Python wrapper around C++ code, that means someone has written some python code that interacts with existing C++ language. “Modules” are pre-written in Python code that you simply “import” in your Python program and execute easily. Thus, Python can be used to make games, do data analysis, control robot and interact with hardware, create GUIs, even to create websites as well as research and development of production systems. Python is a vast language with number of modules, packages and libraries like NumPy, SciPy, Scikit-Learn, Matplotlib are used in data science and data analysis that provides multiple ways of achieving a task and helps developer creating scalable machine learning algorithms such as linear regression, logistic regression, Naïve Bayes, k-means, K nearest neighbor and Random Forest. Wow let’s start with PythonWe’re finally here! But first, let me tell you what Python is. Python is a very popular programming language that can be used for creating dynamic websites, games, scientific software, real time applications, big data, machine learning (ML), artificial intelligence (AI), graphics and many more. Python originated in the late 1980s and its main goal is to be readable by human beings (not only machines!). This is why it looks simpler than other programming languages, but don’t worry – Python is also really very much powerful language! To install Python after downloading, double click the .exe (for Windows) or .pkg (for Mac) file and follow the instructions on the screen. The logic required to make a decision is specific to a single domain and task. Changing the task, even slightly, might require a rewrite of the whole system. Designing rules requires a deep understanding of how a decision should be made by a human expert. Machine learning is a discipline that deals with programming the systems so as to make them automatically learn and improve with experience. Here, learning implies recognizing and understanding the input data and taking informed decisions based on the supplied data. It is very difficult to consider all the decisions based on all possible inputs. To solve this problem, algorithms are developed that build knowledge from a specific data and past experience by applying the principles of statistical science, probability, logic, mathematical optimization, reinforcement learning, and control theory. Machine Learning (ML) is an automated learning with little or no human intervention. It involves programming computers so that they learn from the available inputs. 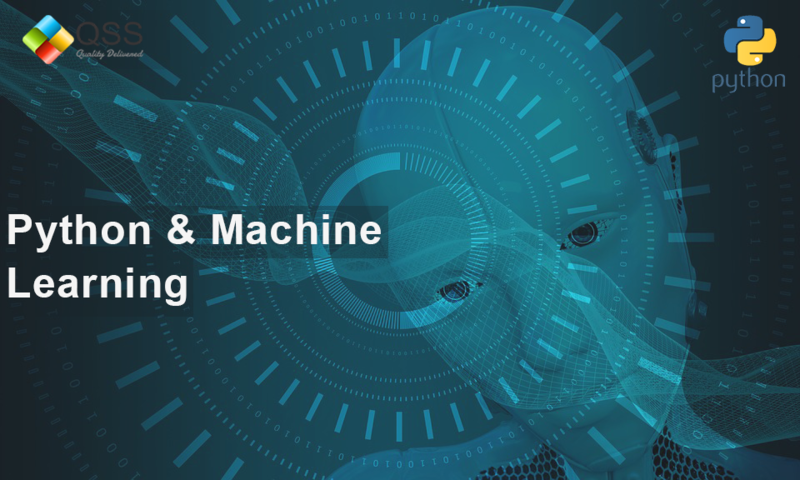 The main purpose of machine learning is to explore and construct algorithms that can learn from the previous data and make predictions on new input data. Learning is the process of converting experience into expertise or knowledge. Learning can be broadly classified into three categories, as mentioned below, based on the nature of the learning data and interaction between the learner and the environment. There are three types of machine learning: supervised learning, unsupervised learning, and reinforcement learning. The machine learning program is both given the input data and the corresponding labeling. This means that the learned data has to be labeled by a human being beforehand. No labels are provided to the learning algorithm. The algorithm has to figure out a clustering of the input data. A computer program dynamically interacts with its environment. This means that the program receives positive and/or negative feedback to improve its performance. Python has in-built libraries that enables developers to use optimized algorithms. It implements various machine learning techniques such as recommendation, classification, and clustering. Therefore, it is necessary to have a brief introduction to machine learning before we move further.